"No, ma'am, they rode horses back then..."
I just did an ancestry dna test and I am 5% Native American. My daughter did one too and she is 20%! My wife’s isn’t done yet, but I suspect that’s where the Native comes from. 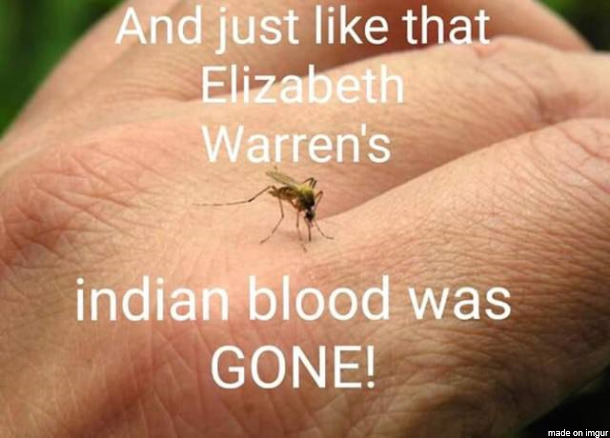 So I’m 50 times more Native than Lieawatha. The other thing is that the tests can’t really narrow down between South American and North American. Since my maternal grandmother was Mexican and my wife is Mexican American, I’m pretty sure the kids ain’t Cherokee . Now I want to know where my darn casino franchise money from WinStar is...and where my reparations for the “trail of tears” are! And to think I might have gone to Harvard for my MBA instead of SMU...I just checked the wrong box. Where do I go to get my “white privilege” that I’ve been hearing about. Took the DNA test. Found out I was 50% oppressor Red Coat. All this time I thought I was mainly Irish like Beto and Obama. If you submit DNA to different labs will the results be the same or will there vast differences? If there are differences found, how would you know which is accurate or not? I'm going to do that. Waiting for Black Monday for deals on 23 and Me. I'll let you know. I understand that brothers and sisters can have different percentage make up due to the gene lottery when your conceived. That made me laugh out loud for the first time in several days. On Ancestry, the results change as they collect more samples and are able to more accurately identify regional subgroups. That was actually the criticism of Fauxcahontas test. They really didn't have Native North American tribal control samples. My great grand mother was half indian. Her mom was full blooded and her dad was an Irishman. My results showed no native American. 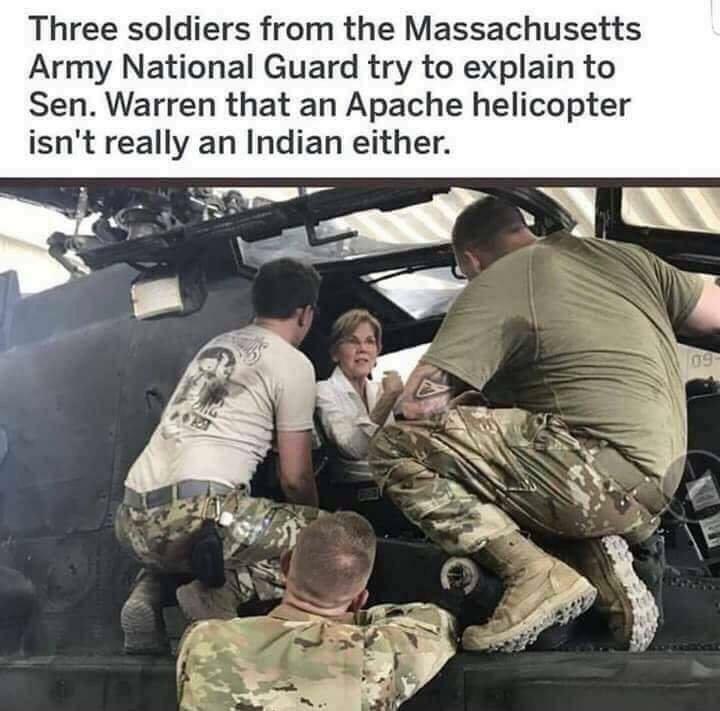 Made me wonder what the deal was but now that I know there are no real samples of actual American indians it explained it some. Yes. Teach a man to fish, you help him along the path to self sufficiency. Give a man a fish, you encourage him to depend on you, thereby enhancing your own power and prestige.